By now, you surely know the basics. To bulk up, or gain muscle, you need to lift heavy weights and eat in a calorie surplus (or more calories than your body burns in a day). To lose fat, or cut, you need to eat in a calorie deficit; ideally, while strength training. Most of us have, at some point, wondered why and if you actually need to enter distinct bulking and cutting phases. Can’t you alternate bulking and cutting days (or weeks), or in other words, do micro bulks and micro cuts? Couldn’t you gain muscle one day, lose fat the next, and dramatically transform your physique super quickly? While, in theory, extremely short bulks and cuts could work (along with recomps and/or carb cycling strategies), most people would find them extremely difficult to stick to due in part to the agonizingly slow progress you’d see day to day. Not to mention confusion about how to adhere to a strict and fluctuating diet. … and it is possible to make them work, your best bet in most cases is to do a focused bulk or cut for a defined period of time so you can experience the best results possible before changing gears. Let’s talk about 3 big reasons why (and what types of people are actually good candidates for this). Would you be surprised if I told you that going to the gym and blasting your muscles into eternity, then going home and eating and sleeping… actually doesn’t build muscle? At least, not in any appreciable or measurable way. The thing that really makes your muscles grow is progressive overload: Increasing the stress you place on your muscles over time (more weight, more reps, less rest). By changing and increasing your training stimulus, you quite literally force your body to respond with muscle growth… if you give it enough rest, protein, calories, and other key nutrients, of course. This process, unfortunately, takes time. Gaining 1-2 pounds of muscle per month is about the most you can realistically expect if you do everything right (and don’t use steroids). That’s around a quarter pound per week, or a pathetically small amount per day. And this ONLY happens, again, if you’re consistently lifting heavier and heavier, or adding reps, every week. If, theoretically, you hit the gym and lifted the same weight for the same reps every single week, you’d grow some muscle to a point, but eventually, the biological law of accommodation would kick in and progress would grind to a halt, and maybe even backtrack. All this is to say, that if your goal is to ultimately gain strength and muscle, you NEED to spend a large block of time systematically building up your strength levels. You simply won’t get noticeable gains in one day, one week, or even one month (though a month is certainly better than a day). Most good bulking programs recommend focusing on bulking for 3-6 months at a time in order to really pile up the strength and muscle gains you need to see a visual difference. Interspersing your high-calorie “bulking days” with low-calorie days is just going to impede your recovery, hinder performance, and give you much slower progress. OK, but what if you don’t actually care about gaining muscle? 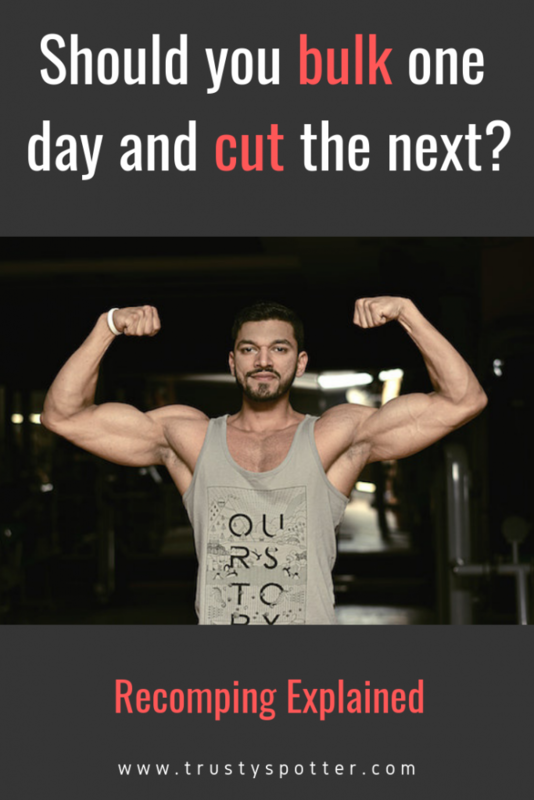 What if you just want to maintain your strength with some extra calories while you lose fat on a cut? Would alternating bulking and cutting days/weeks work then? Alternating high-calorie and low-calorie days sounds like an awesome way to get the best of both worlds, but if you try it, you’ll probably find that you’re hungry as all hell on your low-calorie days. The reason for this is that your body’s expectations are all out of whack. 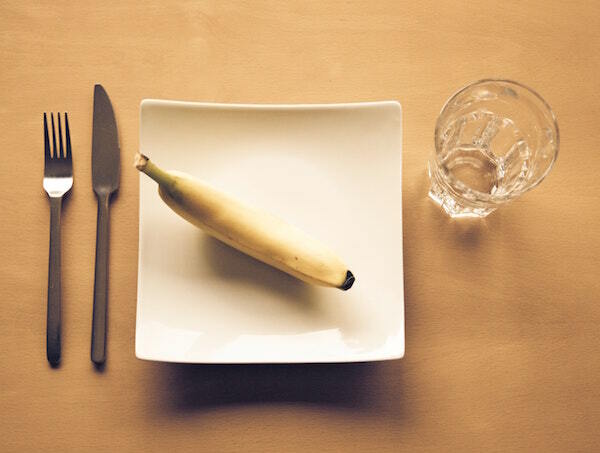 If you’ve ever tried intermittent fasting or an extended fast, you’ve probably learned that the primary reason you get hungry when you do is that your body expects food at certain times. Most normal people who aren’t on a diet are used to eating breakfast, so they wake up in the morning hungry and ready to eat. Eating extra calories on certain days and eating in a deficit on others is probably going to be really tricky to stick to. You’ll be really hungry on the rest days or low-calorie days, and it’s going to take an iron will not to cave in. I’m not saying you CAN’T do it, or even that it wouldn’t work, it’s just going to be really difficult, in my opinion. On a normal, dedicated cut, for comparison, you tend to get used to the lower calories after a while and you learn to manage the hunger better. The best cutting programs implement strategic refeed days to replenish your energy stores, but they don’t have you alternating like crazy. (The other thing that’s really important to note: Your body doesn’t necessarily operate on a “day to day” basis like your brain does. It doesn’t stop at midnight and make a final tally of calories in versus calorie out in order to determine how much fat to burn for that day. The idea is to gain muscle and lose fat simultaneously. And yes, it is possible! It can work, and very often does. But it’s not for everyone. In reality, you’ll find very few people who have successfully recomped in a significant way without using separate bulking and cutting phases. The reason novice lifters can make recomps work is because newbies gain muscle and strength ridiculously easily. It’s called “newbie gains” for a reason. They come fast and furious in the beginning, almost regardless of what and how you’re eating. So eating high-calories on workout days to support performance and low-calories on rest days to drive fat loss could work for someone new who’s primed to gain strength quickly anyway. This is a good approach for someone with a few extra pounds to lose who can afford to take it slow. If you’ve got a lot of extra, you’ll probably just want to go for a dedicated and aggressive cut. The same is true of really advanced lifters, but for the opposite reason. Gaining muscle becomes extraordinarily difficult when you’ve been lifting for years and have reached elite strength levels. There’s no sense in going into a full-on bulk just to gain an infinitesimal amount of muscle and a bunch of fat. People at this level are better off cycling their calories for performance and staying lean. Eating a little bit more on workout days and a little bit less on rest days is actually a pretty natural thing to do. 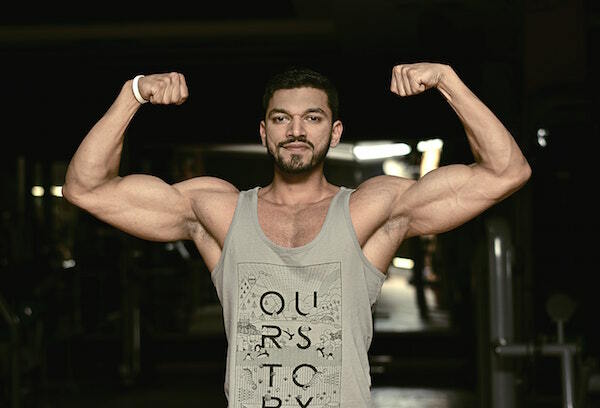 So if you go into it with the expectation that you may gain a little bit of muscle or may lose a little bit of fat, but ultimately, you’ll probably just maintain your current physique, it can be a great strategy for that. The simplest and fastest solution is to tackle one problem at a time in a focused way to get results. However, if you want to try recomping, alternating bulking/cutting days, doing medium-length bulks and short cuts, go for it. I always support experimenting and trying things for yourself rather than taking others at their word. Give those a look if you need an exact blueprint of how to workout and what to eat to reach your goals.